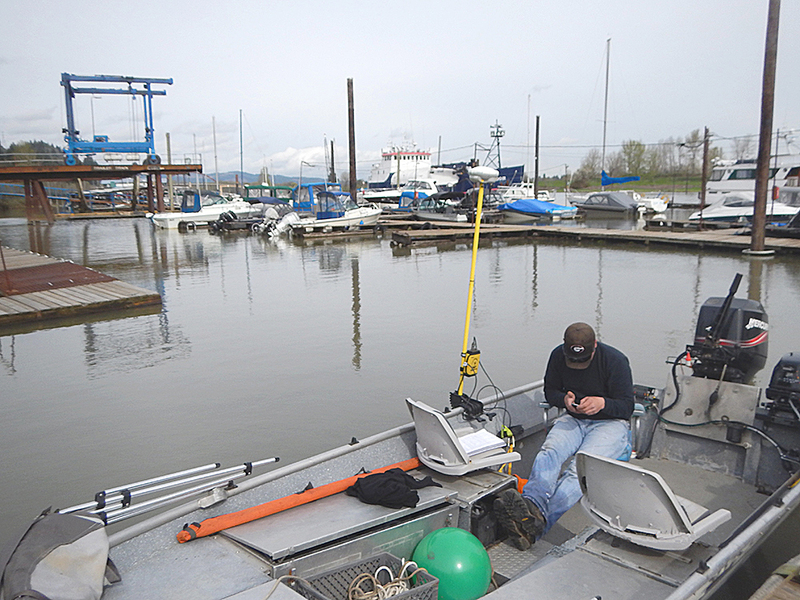 Statewide provided services to ESA for the hydrographic mapping of Multnomah Channel near the south tip of Sauvie Island. The objective of the project was to provide information to help with the restoration of Miller Creek to its original path. The hydrographic portion of the survey supplemented the land survey topography mapping. On this survey, our 16’ shallow-water sled was used with a Trimble RTK GPS. The Hydrolite sonar unit was also used, streaming depth values into a TSC3 data collector at a rate of 2 Hz. The depths were then subtracted from the RTK X, Y, and Z position of the transducer. A bar check was performed two times a day to adjust the sound velocity in the sonar measurements.